Getting too much of certain vitamins can cause adverse and even dangerous side effects. Because of this, the Institute of Medicine establishes something known as a tolerable upper intake level for many vitamins. This is the highest amount you can take without risking side effects in most cases. Check the IOM website for the most current tolerable upper intake level of the vitamins you are taking to ensure you don't get too much. Along with establishing tolerable upper intake levels for vitamins, the IOM also establishes a recommended dietary allowance for vitamins. This is the amount IOM considers an adequate amount for proper nutrition. Most multivitamin supplements contain high percentages of the recommended dietary allowance, so taking additional supplements may not be necessary, especially if you are eating a healthy, balanced diet. As of May 2011, the current recommended dietary allowance for vitamin B-12 is 2.4 mcg a day for most adults, with a few exceptions. Pregnant women should get at least 2.6 mcg of vitamin B-12 a day, while women who are nursing should get 2.8 mcg of vitamin B-12 a day. As of May 2011, the IOM has not established a tolerable upper intake level for vitamin B-12. 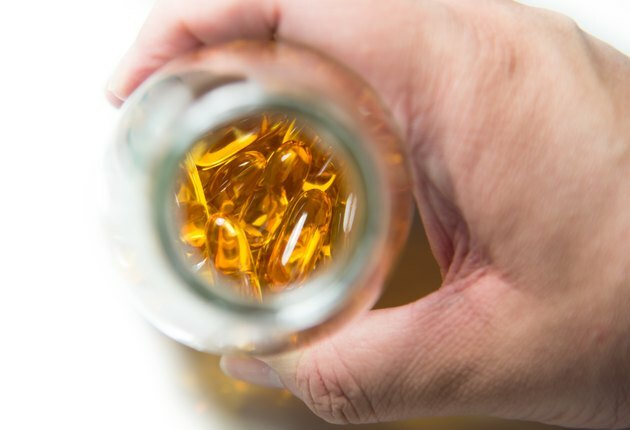 The organization analyzed clinical trials and research regarding this vitamin and concluded that B-12 is unlikely to cause side effects, even in high doses. This means it is usually acceptable to take a multivitamin with additional B-12 supplementation. However, everyone reacts differently to vitamin supplements. If you experience any unpleasant side effects from taking the two supplements at the same time, contact your health care provider for advice. Although some people need B-12 supplementation to meet their recommended dietary allowance of the vitamin, many people absorb the vitamin more efficiently from food, according to the Office of Dietary Supplements. The organization notes that only about 10 mcg of a 500 mcg oral supplement of vitamin B-12 is typically absorbed by the body. Because of this, most individuals meet their recommended dietary allowance by eating foods high in vitamin B-12, and may not require extra supplementation. Foods high in vitamin B-12 include liver, clams, trout, salmon and beef. Consult with a physician to determine what is best for you. Some prescription medications, including metformin, ranitidine, famotidine, lansoprazole, cimetidine, omeprazole and chloramphenicol, inhibit the absorption of vitamin B-12. Individuals taking these medications may need large amounts of vitamin B-12 to prevent a deficiency. Always notify your doctor if you are taking any of these medications.